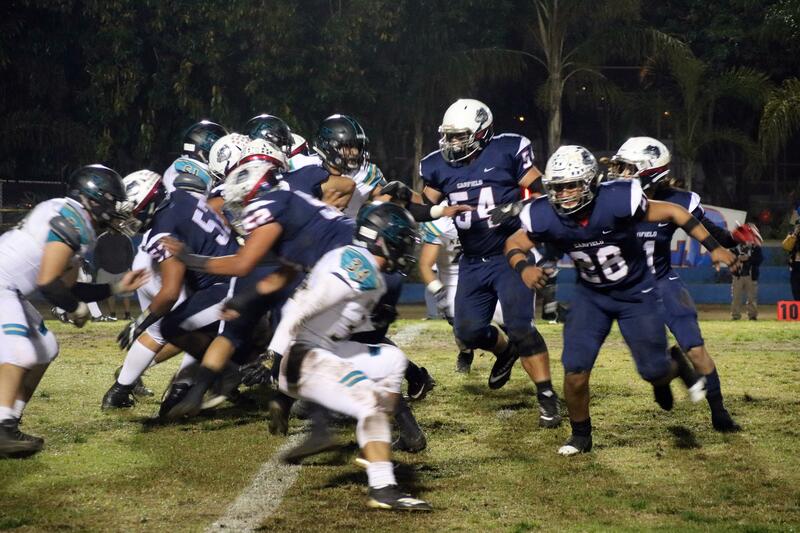 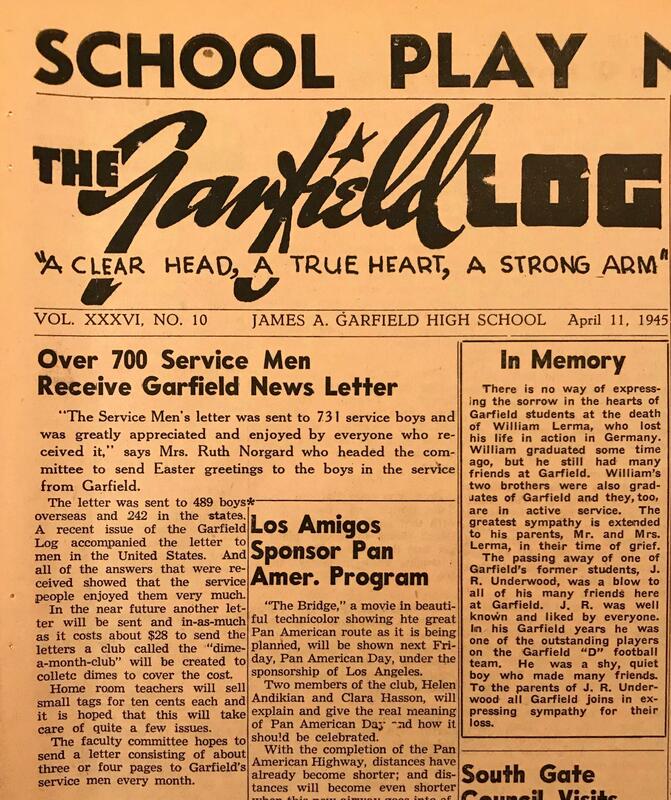 What’s So Special About the Log, Our School Newspaper? 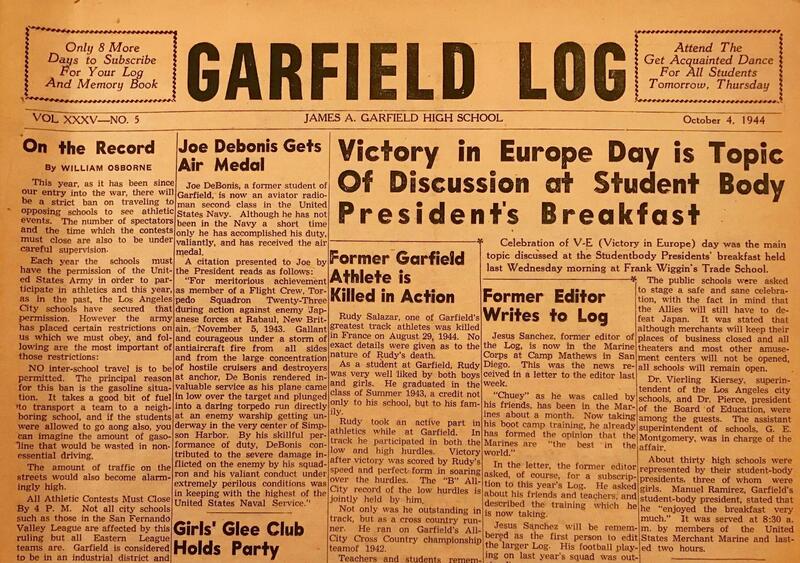 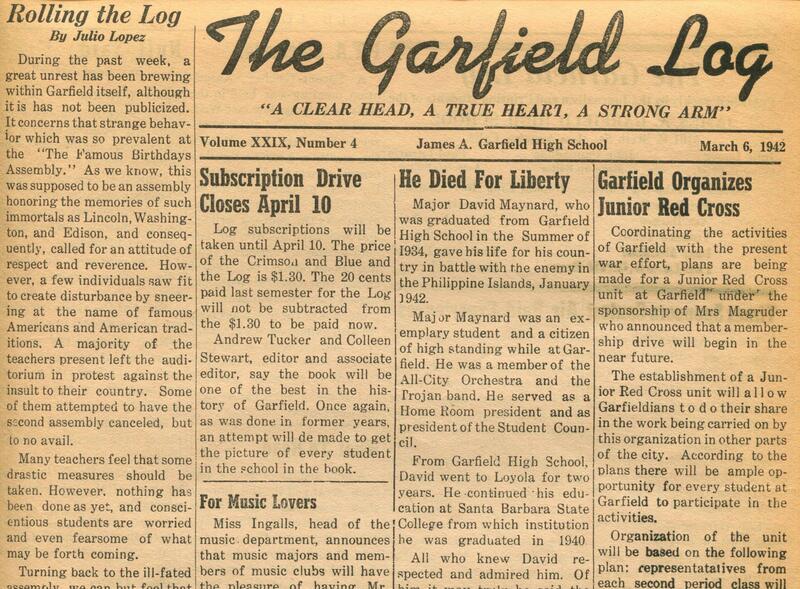 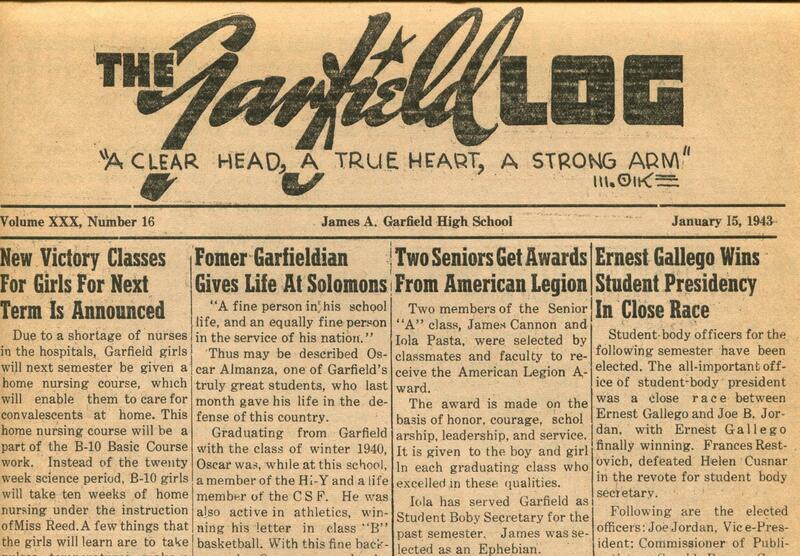 The Log has been a monumental source of information surrounding so many aspects of Garfield High School life and history. 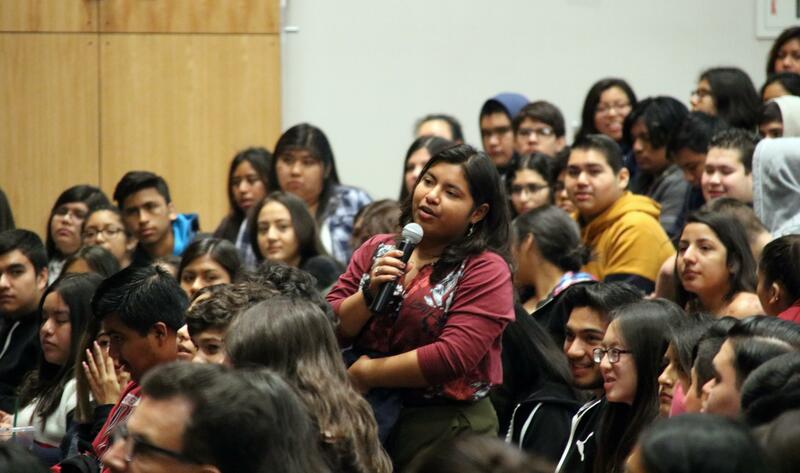 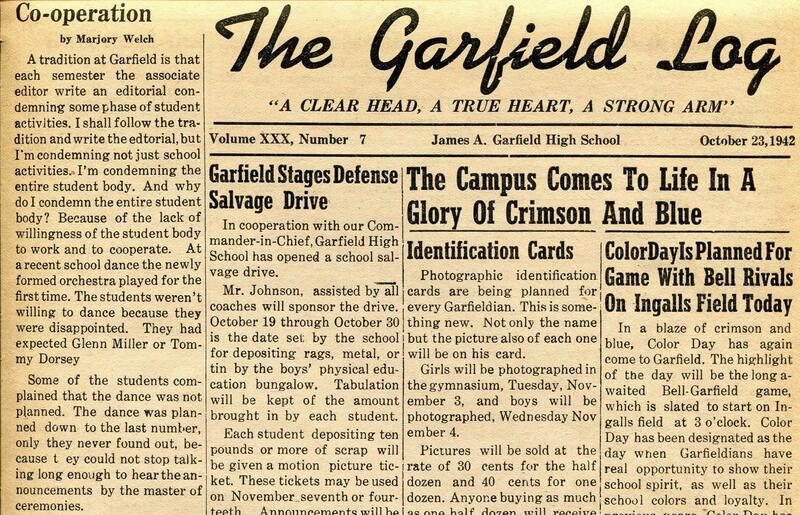 Written by students, the school newspaper is a primary source, a mirror of the school, of the times, of the people. 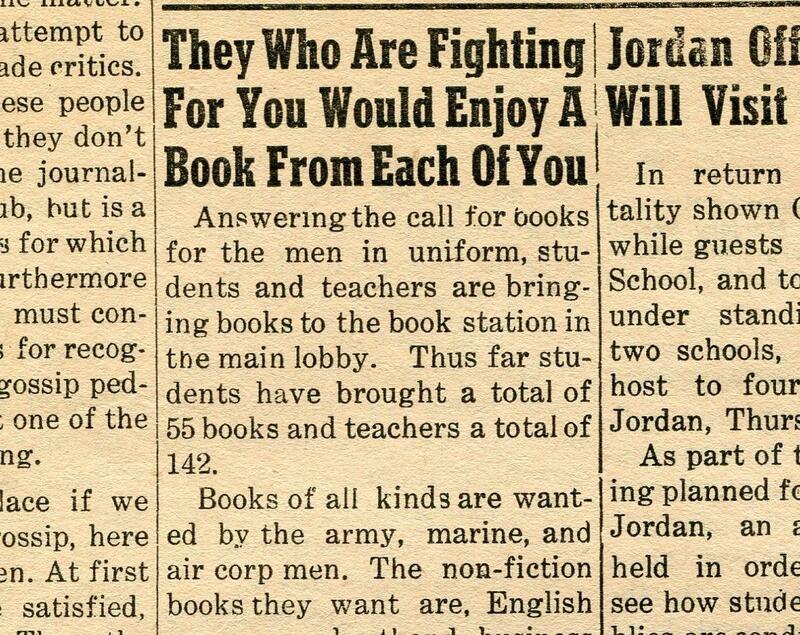 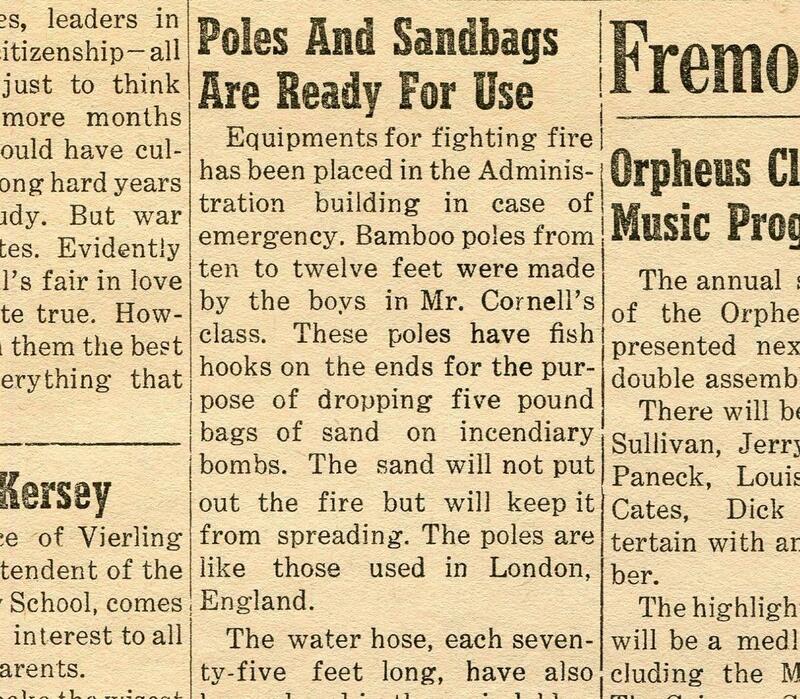 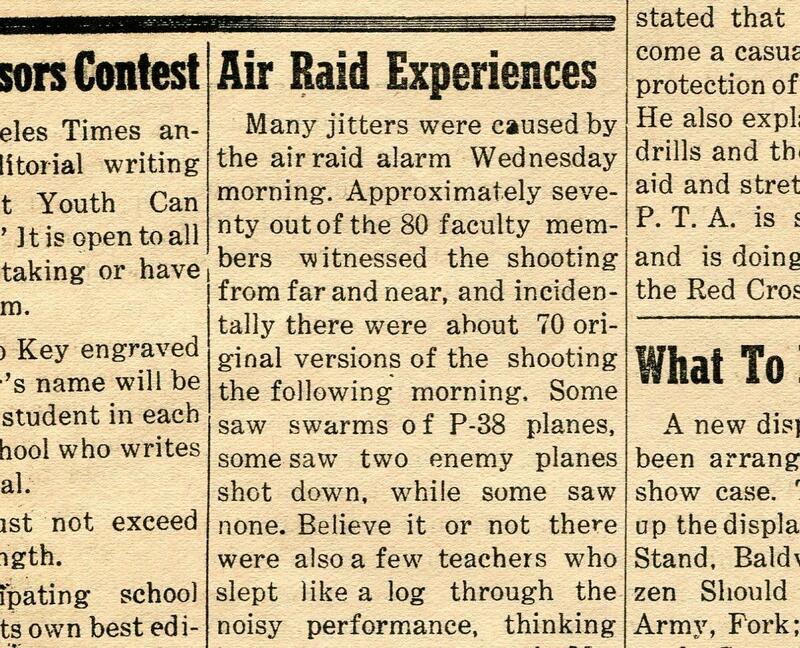 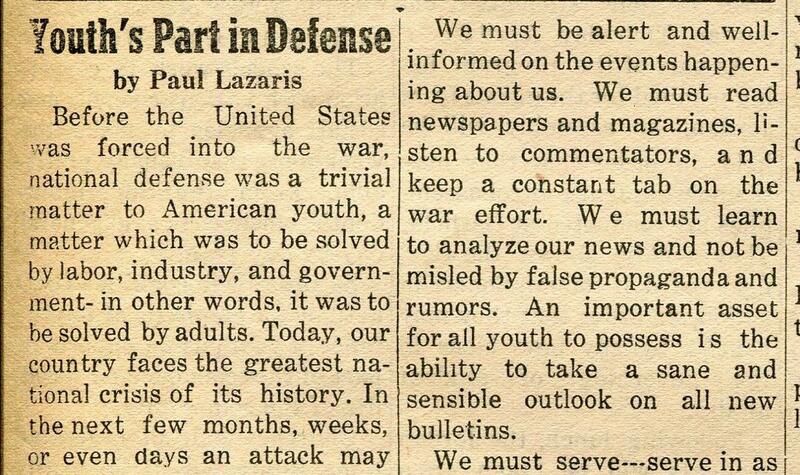 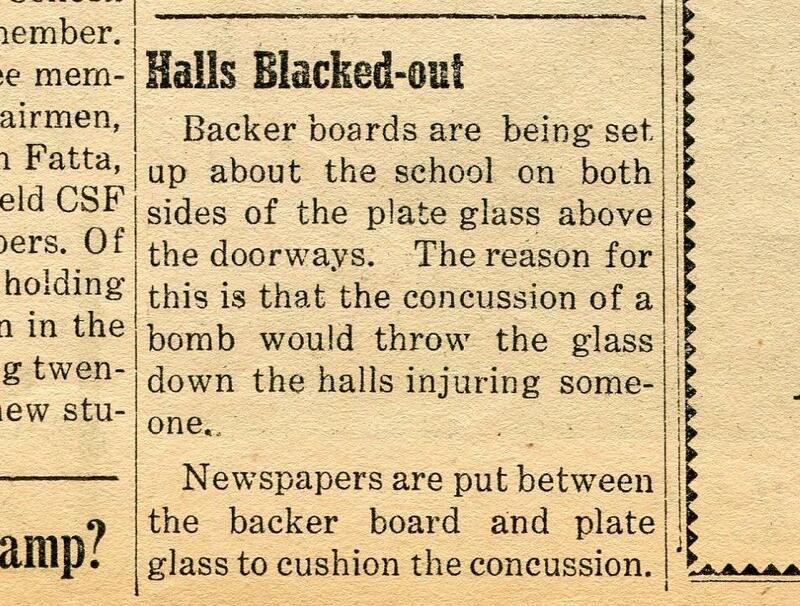 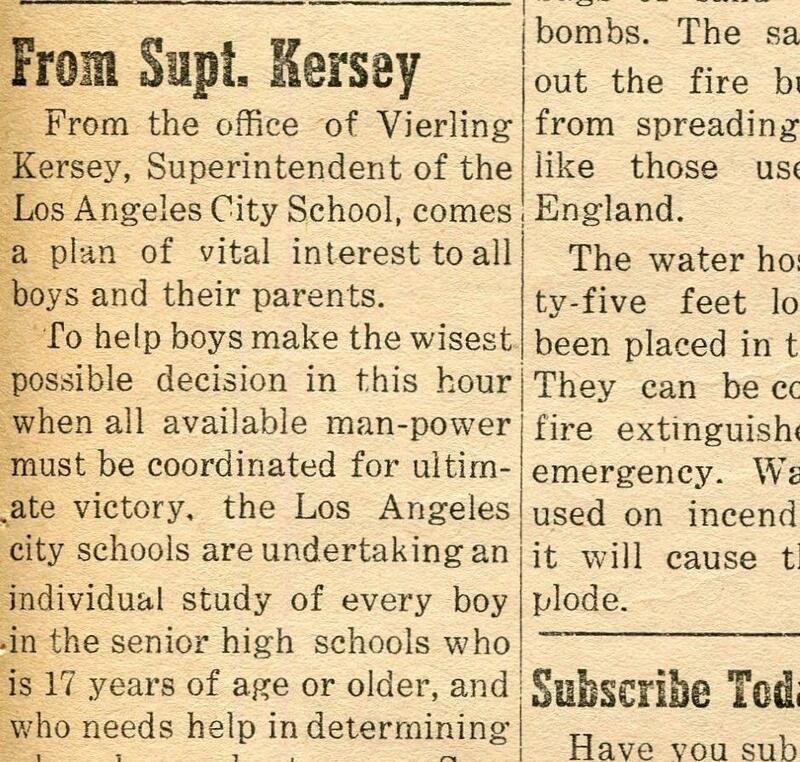 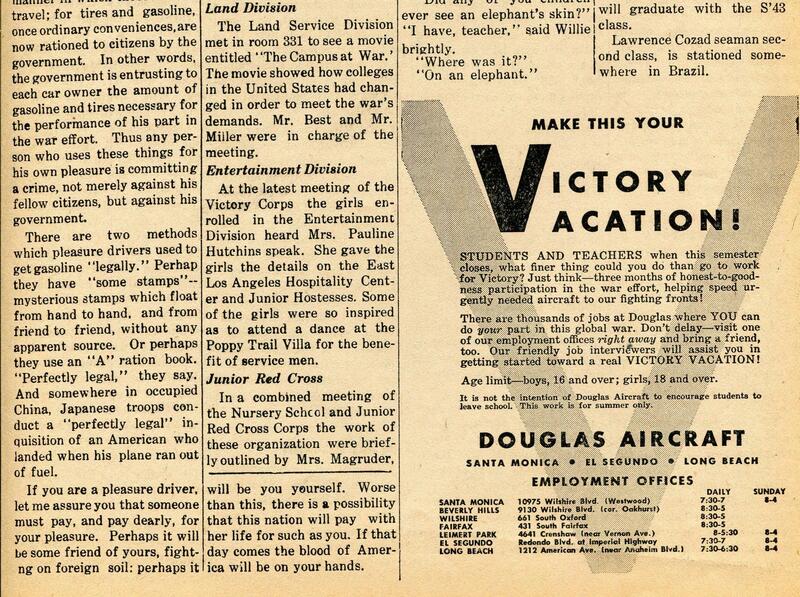 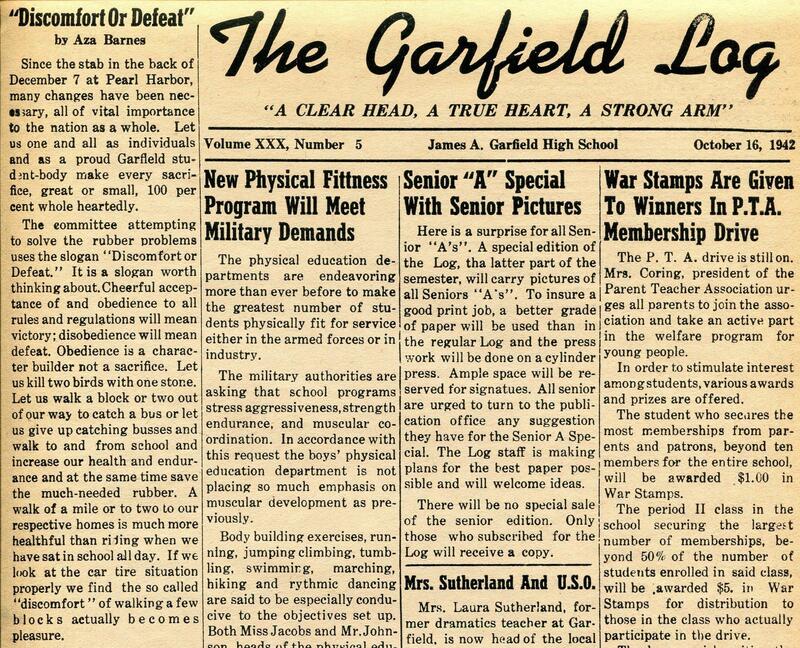 If you decide to take time and wander through the Log editions of the war years, 1941-1945, it is no less an amazing read from which you’ll notice a medley of articles that would not necessarily appear in a regular school newspaper. 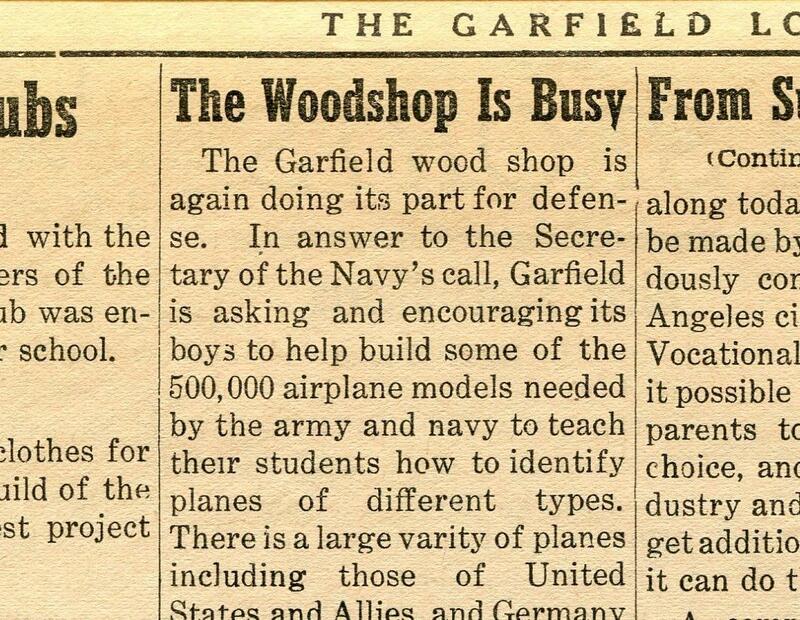 Like what you ask? 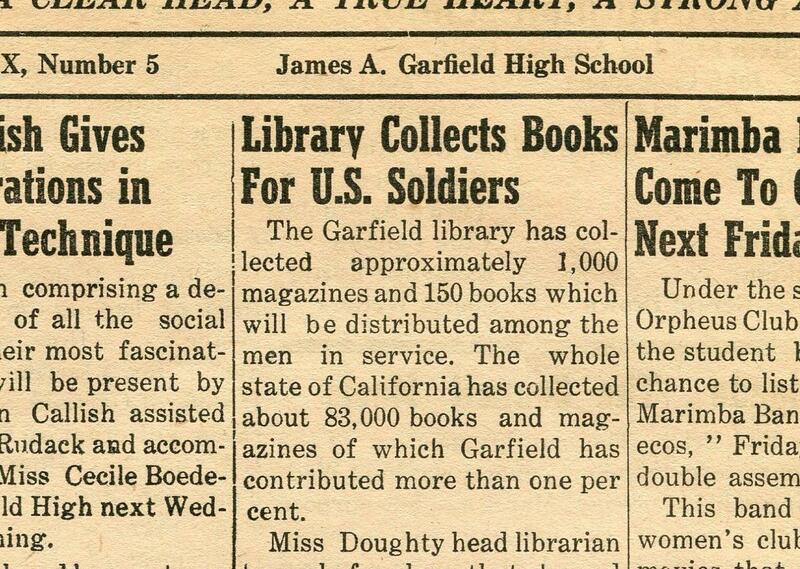 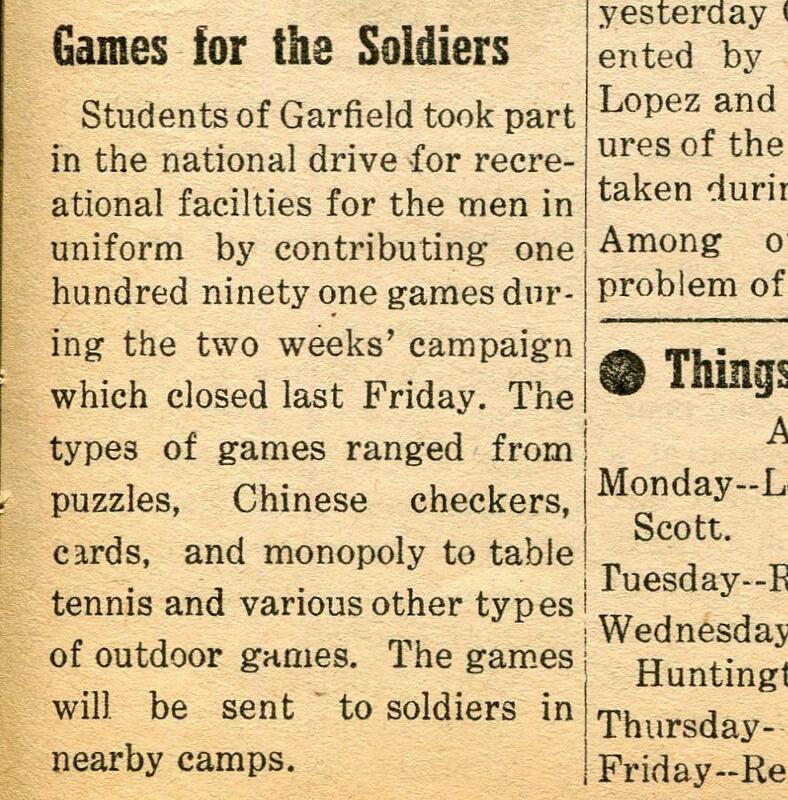 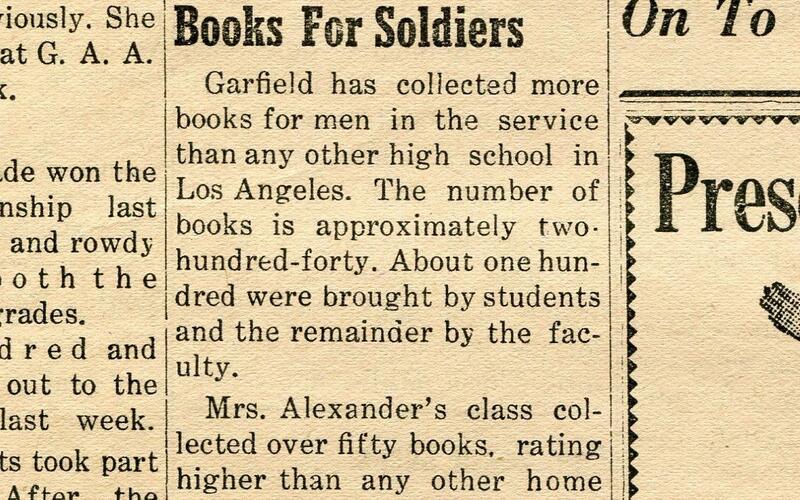 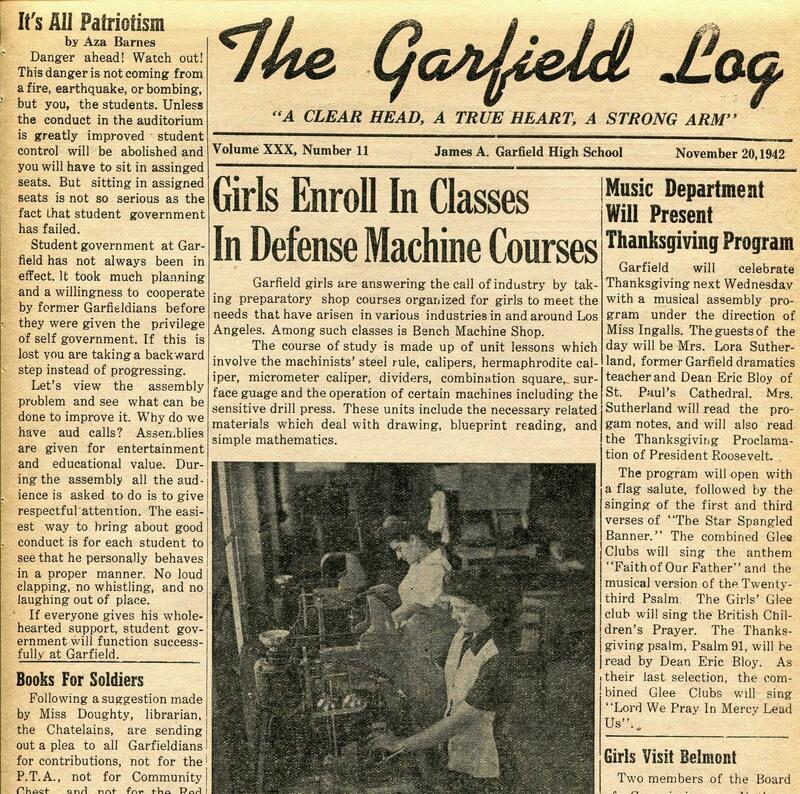 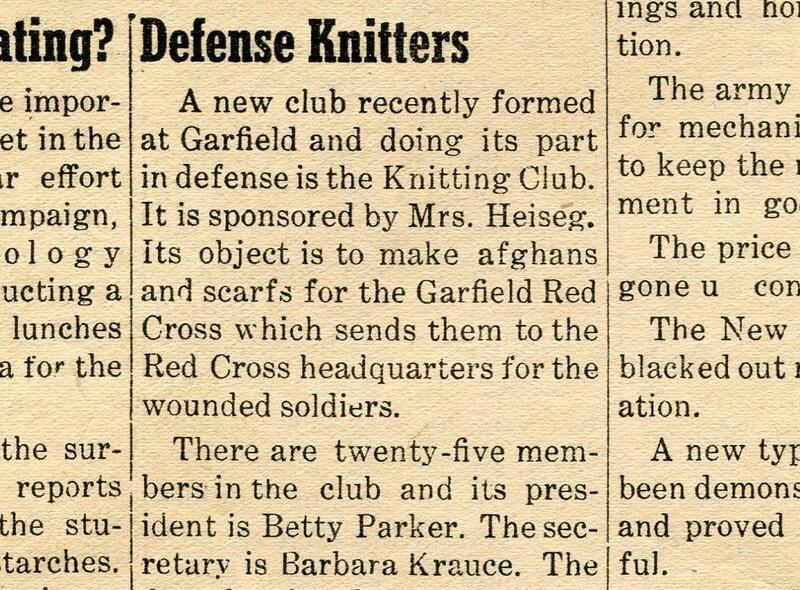 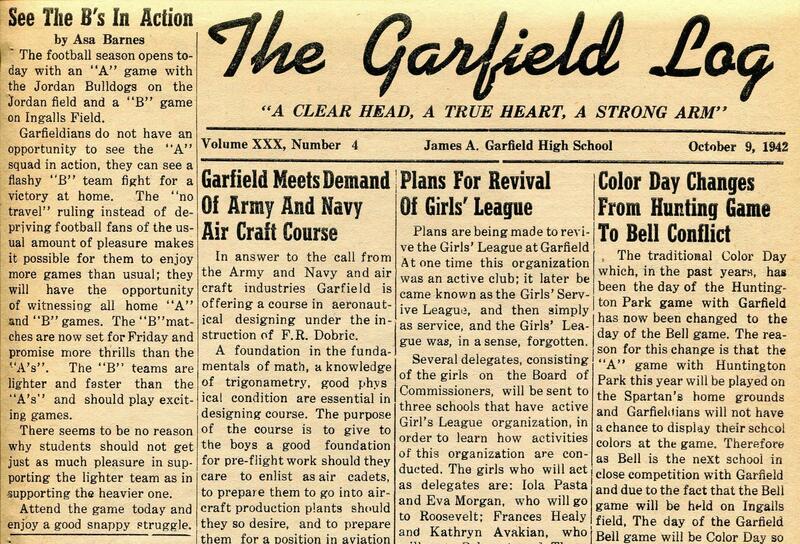 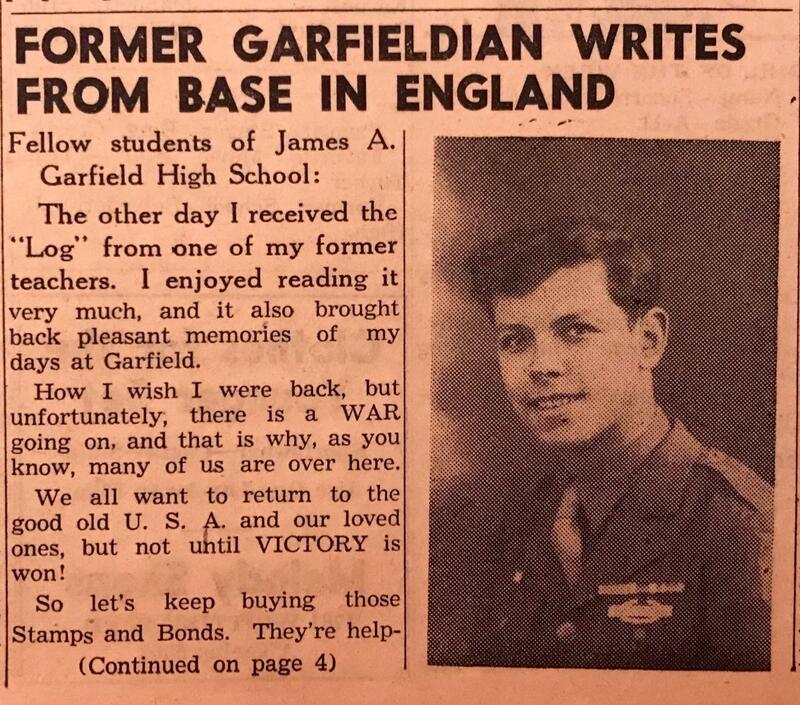 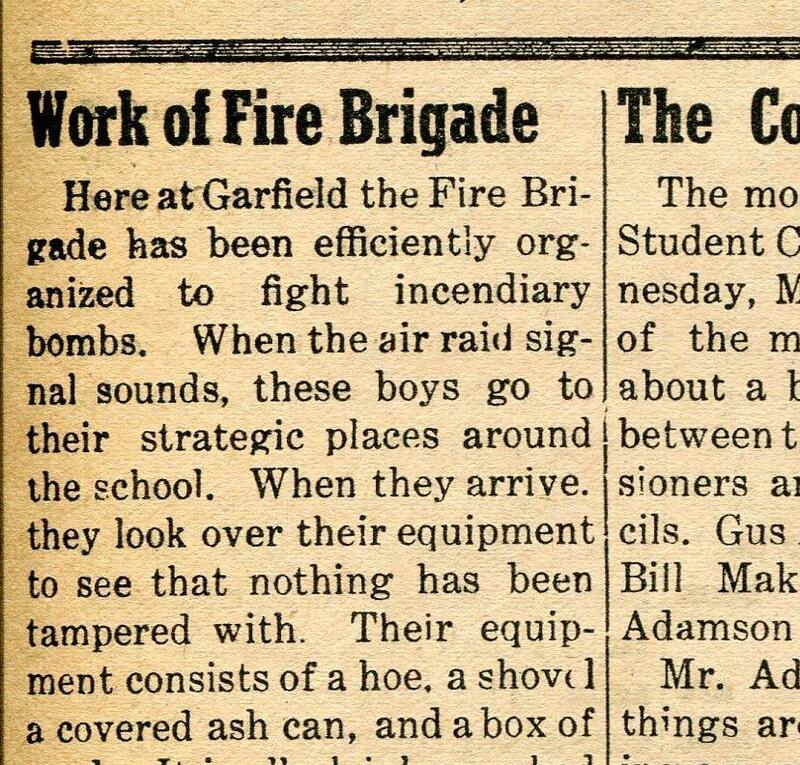 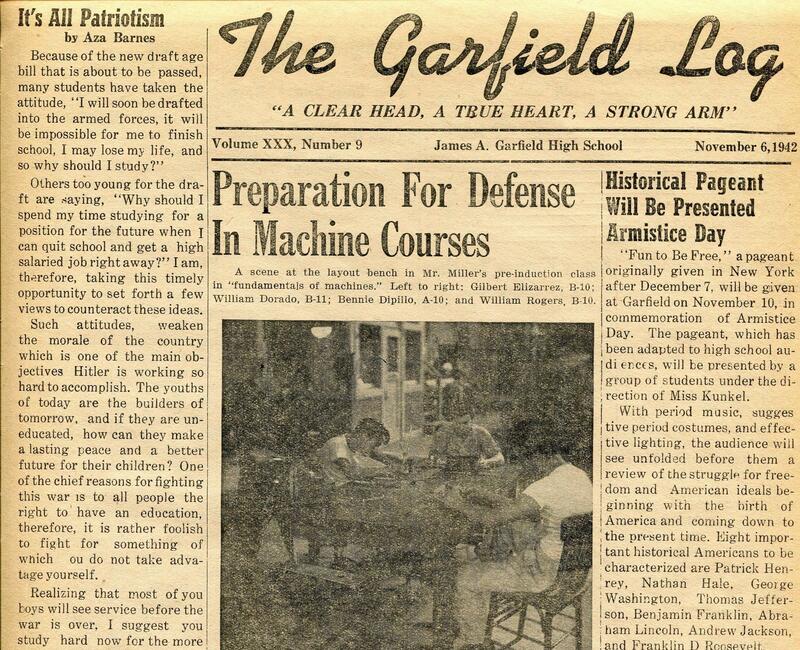 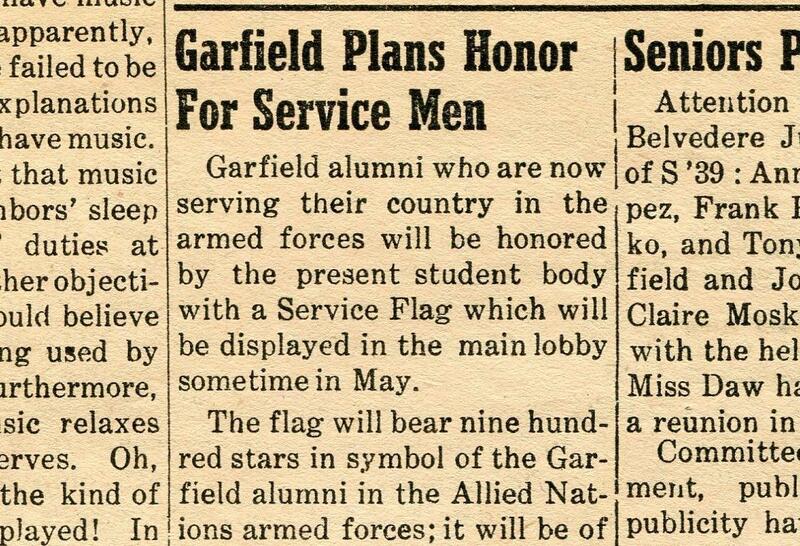 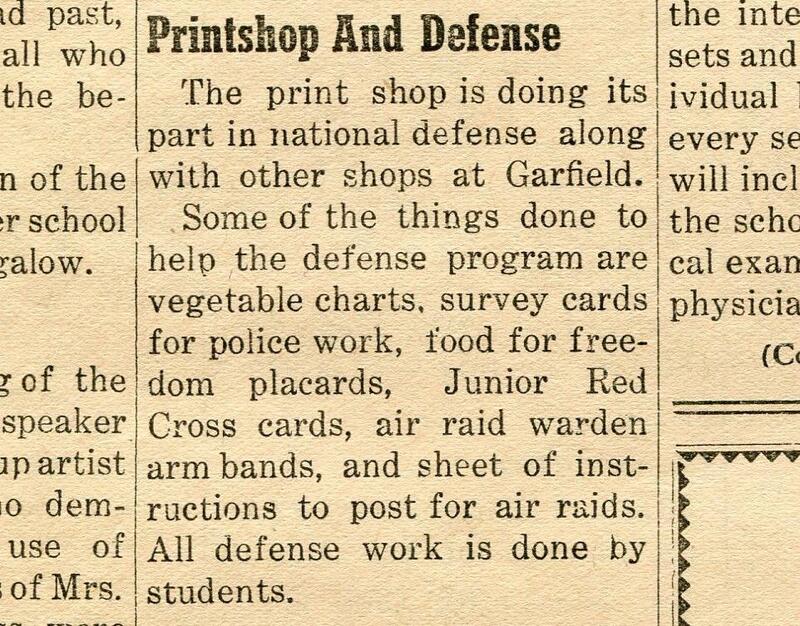 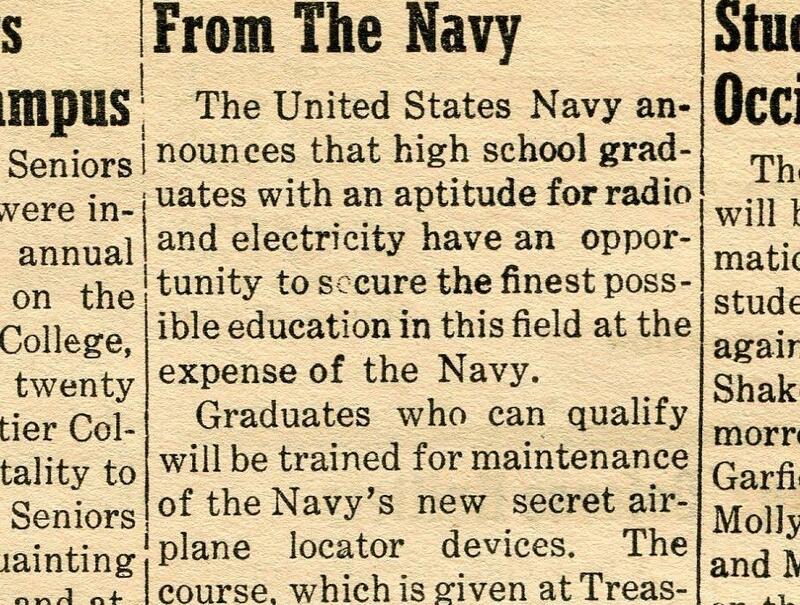 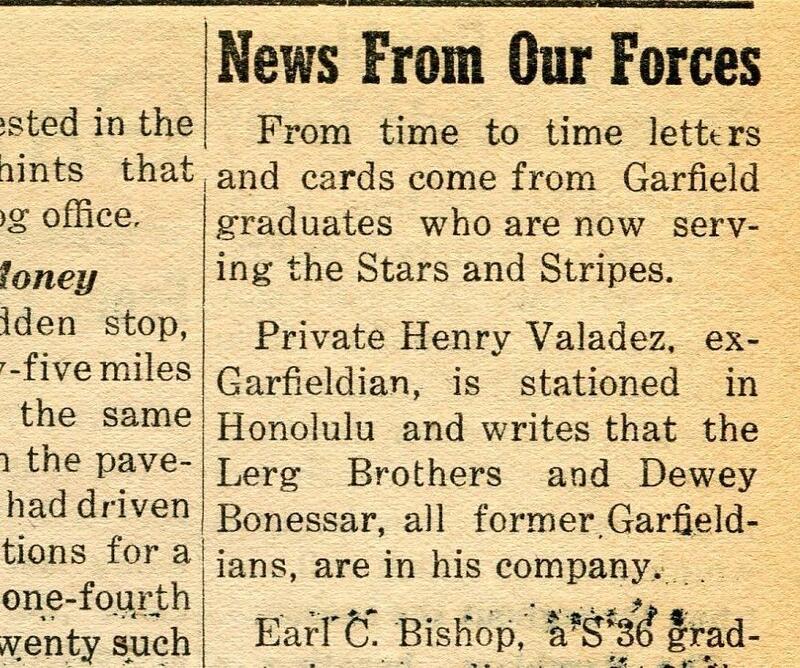 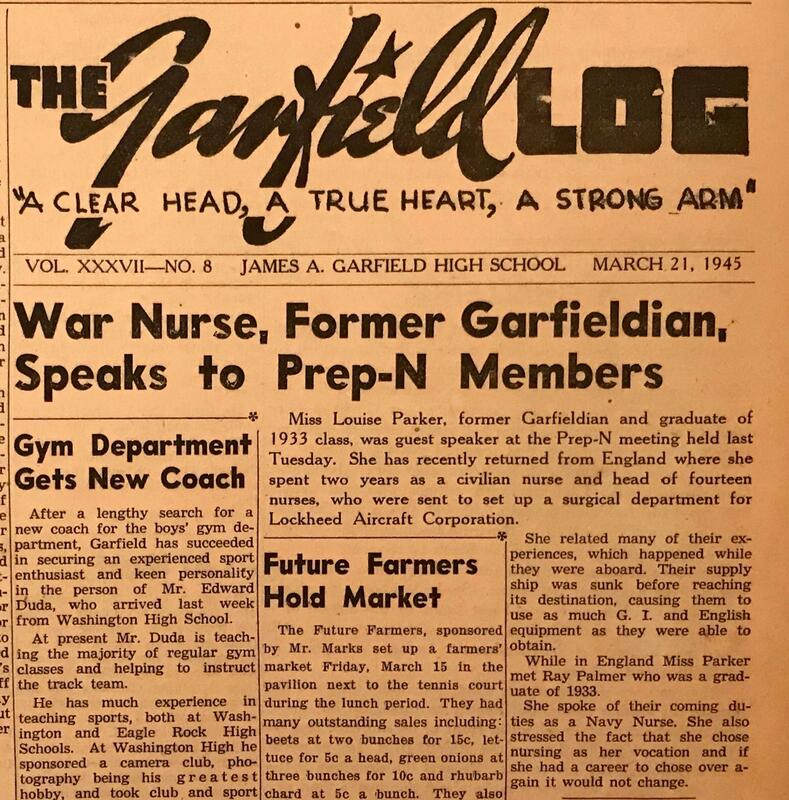 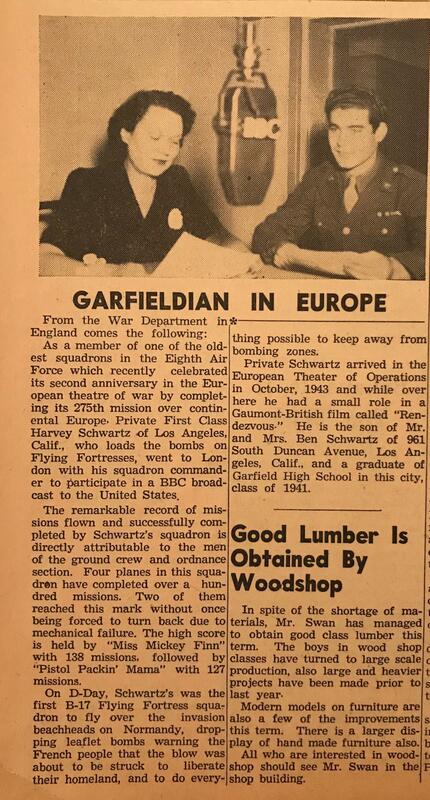 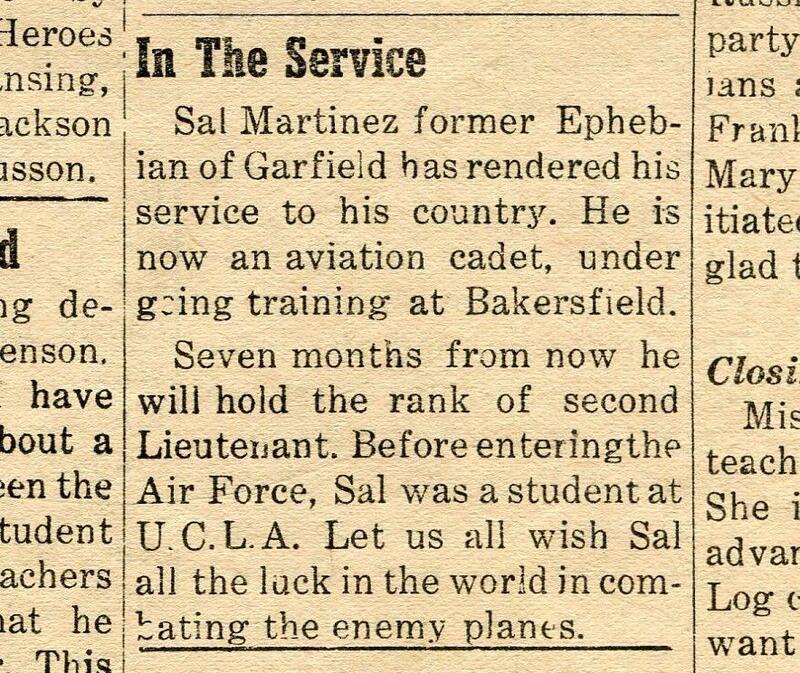 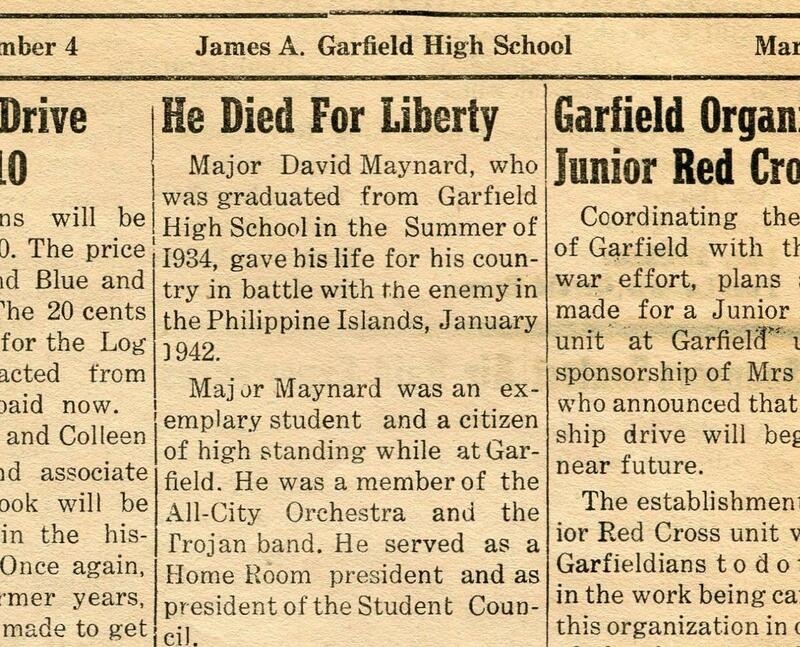 “In the Armed Service,” a section that appeared in almost every paper, listed where Garfield’s alumni were serving in the military. 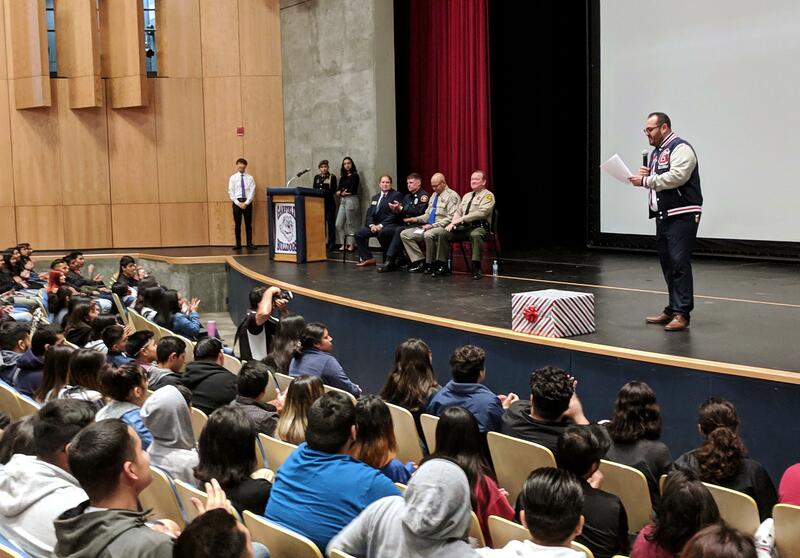 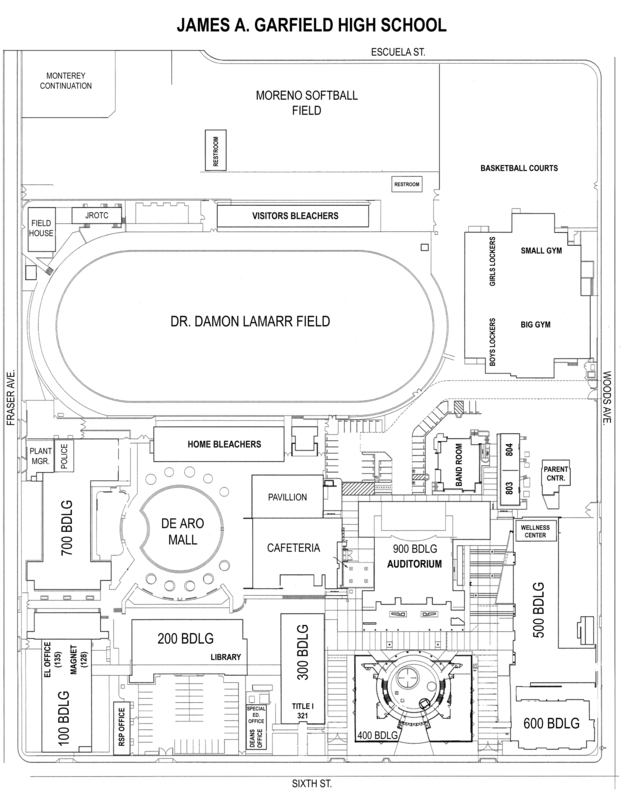 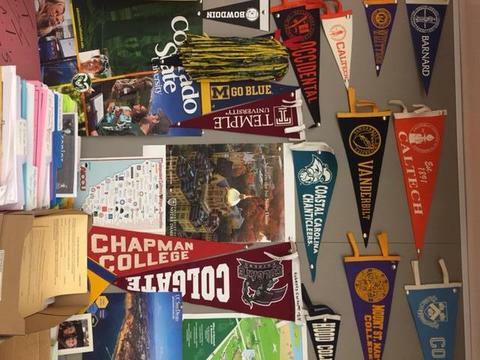 The information came from student letters to their former teachers, letters from parents, family phone calls to the office, letters to former classmates still at Garfield, and visits from those in uniform. 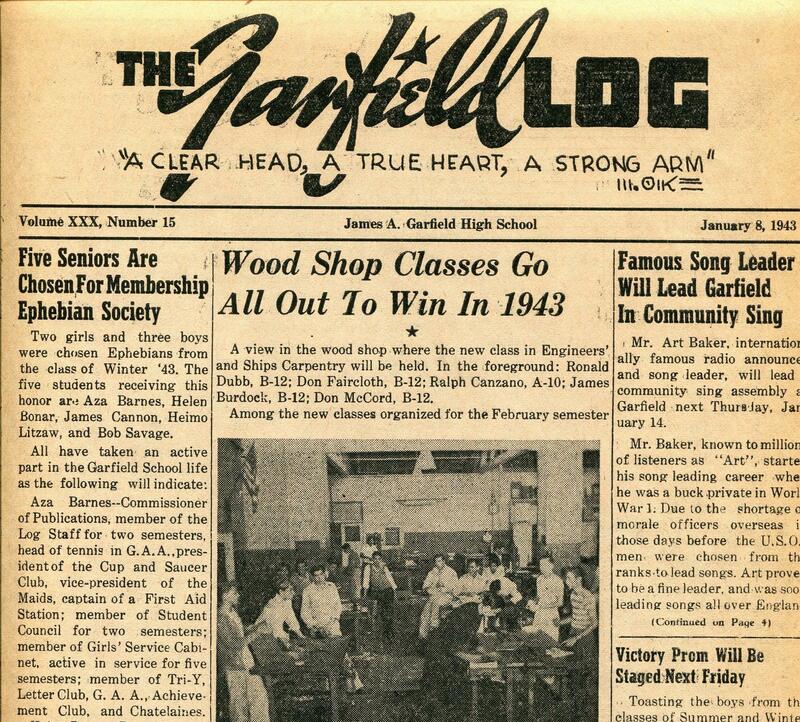 The Logs above are by school semester. 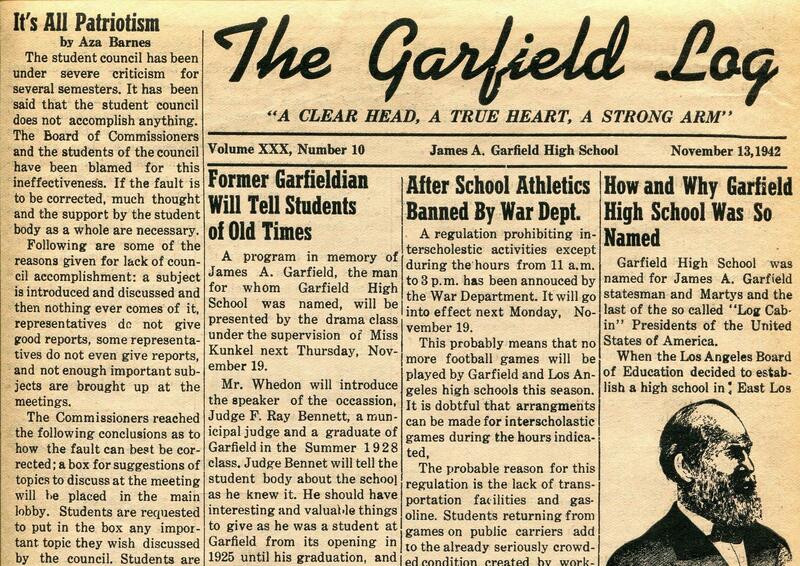 Enjoy these issues, read and peruse, or use them for research. 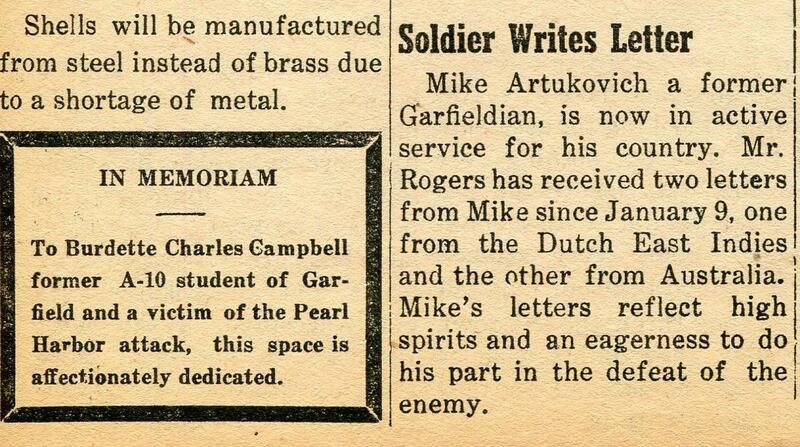 Above all, enjoy them, for as you travel through them, you may find yourself becoming part of the story. 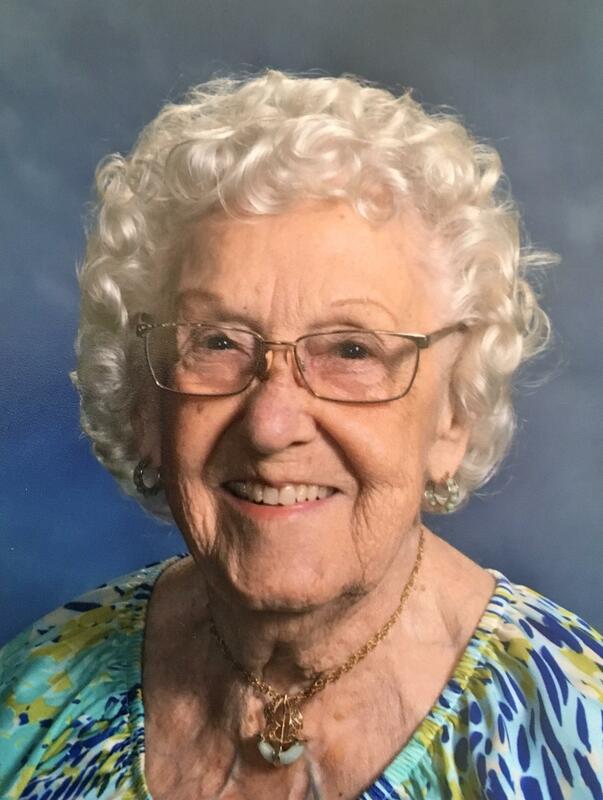 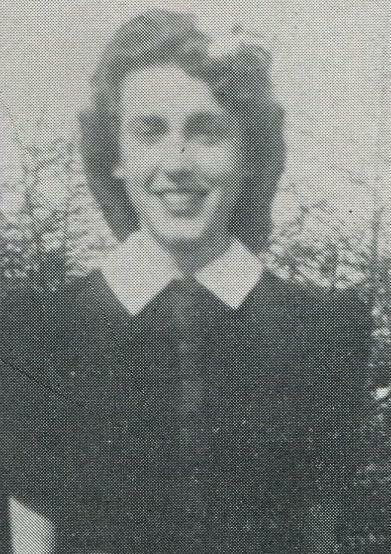 June Lonie, pictured above, wrote a column for the Log entitled "Thru a Knothole" between September 1941 and January 1942. 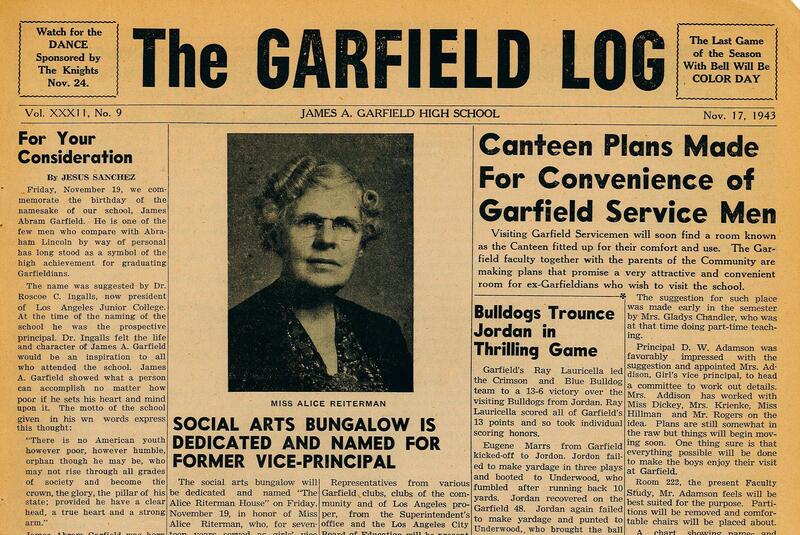 Read along and enjoy her work.